We will place organizational material for the northern California Tsunami Science Team for our participation in Cascadia Rising 2016 (CR2016). 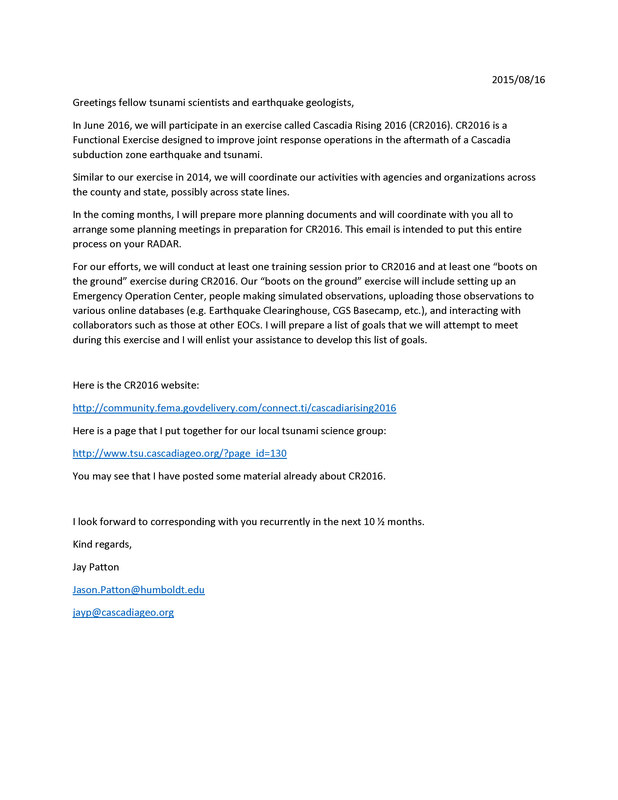 We will proceed with similar activities as we did for our 2014 exercise. Please check back often. After a meeting on Wednesday Aug 19 I will have more information to share with the group.